“If the Board denies the inmate parole, the Board is required to provide specific reasons for such denial in writing.”? IF YOU HAVE CONVICTIONS ON YOUR POLICE RECORD AND ARE SEEKING EMPLOYMENT OR PROMOTIONS IT CAN BE THE BIGGEST CHALLENGE YOU FACE AS A RETURNING CITIZEN! 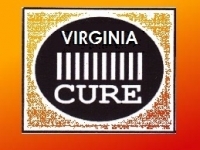 THE VIRGINIA PAROLE BOARD CHAIRMAN WILL TELL US HOW MINIMIZE THIS PROBLEM WITH A “SIMPLE PARDONS” WHICH SHE OVERSEES! EXPUNGEMENTS IN VIRGINIA WHAT IS EXPUNGEMENT? Solely the Governor has the authority to grant clemency and he may do so at his discretion. This discretionary power allows each governor to establish his own guidelines and policies regarding the eligibility of those seeking clemency. There are two types of clemency: Restoration of Civil Rights and Pardons. A restoration of rights restores the rights which are lost upon a felony conviction. These include the rights to vote, to run for and hold public office, to serve on juries and to serve as a Notary Public. It does not include the right to possess or transport any firearm or to carry a concealed weapon. 1. A Simple Pardon is a statement of official forgiveness. While it does not expunge (remove the conviction from) the record, it often serves as a means for the petitioner to advance in employment, education, and self-esteem. Evidence of good citizenship is required, as are favorable recommendations from the officials involved in the case and from the Virginia Parole Board. 2. A Conditional Pardon is available only to people who are currently incarcerated. It is usually granted for early release and involves certain conditions; if you violate these conditions, you could be put back in prison. There must be extraordinary circumstances for an inmate to be considered for such a pardon.